Oil & Gas field operations software. Lightship improves the safety of complex operations and provides real-time updates from the field, all while increasing operational efficiency. These outcomes are possible because we combine check-ins, lone worker monitoring, task management, and in-field data collection into a single, easy-to-use platform available on web and mobile. "Lightship replaced several of our manual safety processes and gave us better visibility of our field crews." 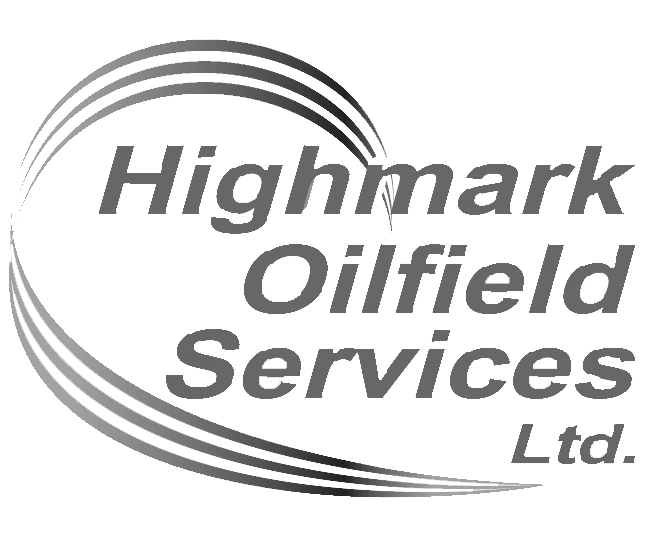 ﻿Why use Lightship for your oilfield operations? 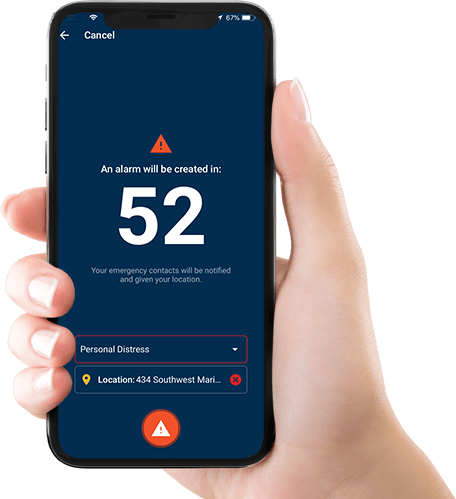 Flexible check-ins, real-time GPS tracking of personnel, and alarms (eg missed check-in, personal distress, fire) with custom response and notification procedures. Live updates from site including the location of equipment/personnel and mobile form submissions (Android/iOS) including text, photos and other media allow you to track progress and identify possible problems early. A map-based common operating picture (COP) provides a unified view of infrastructure, personnel, and tasks. View relevant considerations, set priorities for outstanding tasks, and coordinate progress with unified communication tools. Allow your field crews to manage their check-in schedules with options for specified intervals and preset start and end times. If a check-in is missed, specific individuals or groups will be notified automatically. Standardize incident procedures and notifications. Incident alarms can be triggered automatically (eg. a missed check-in, a specific sensor value reading) or manually by authorized individuals from their mobile device (personal distress, fire, near miss etc.). Standard procedures can be automated for notification and response to ensure appropriate individuals are aware, and that required reporting is completed promptly. Better information with less manual work. Custom forms make data entry easier. Use digital forms (eg. inspections, maintenance) that can intelligently show/hide questions based on user input, including options for text, photos, and other media. Automatically associate this information with the relevant asset(s) to enable comprehensive reporting. Know what is happening & who's on-site. Know what is happening & who is on site. 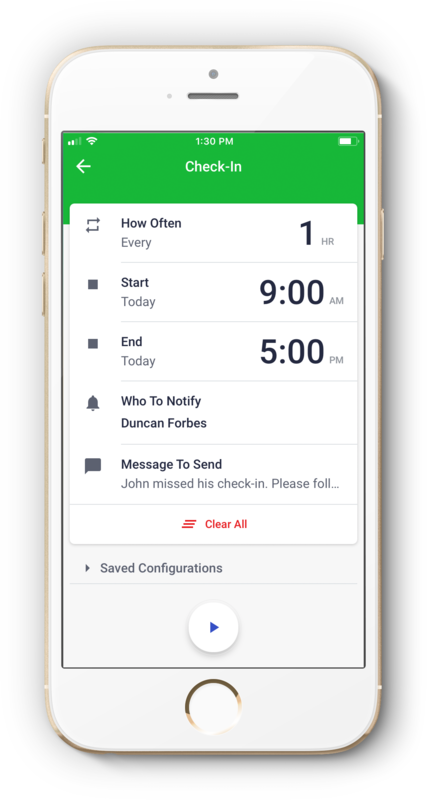 Get real-time updates from operational staff containing text, photos, and other media. See the location of workers, equipment, and deployed assets/equipment in an easy-to-use Common Operating Picture. 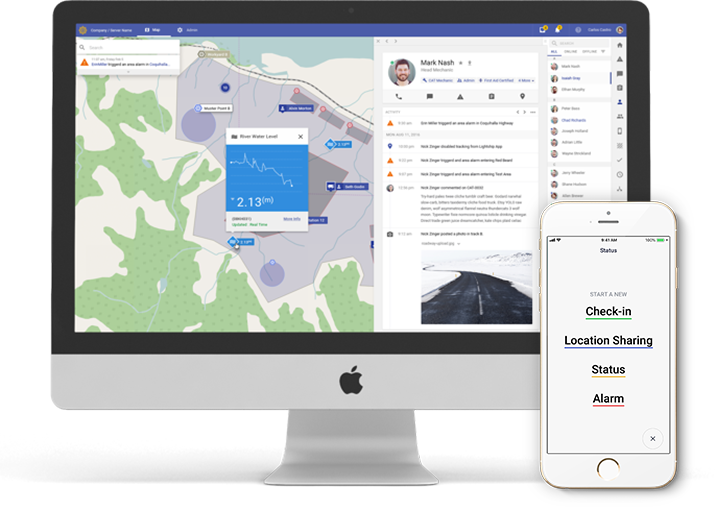 Integrate with existing systems such as GIS and fleet management to have live access to the best-available information for both day-to-day work and incident response. Automatically create tasks & track updates. Lighship scales with your needs. From small field services companies to major, multinational producers, Lightship can make your field operations safer and more efficient. Our license model scales with active daily users, meaning you don’t pay unless you have people in the field, making money. Our pricing ensures you only pay for what you need, providing flexibility for seasonal or project-driven variability in use. Training and support is included in the cost of your license. We’ll work with you to make sure you are successful. Even without connectivity, Lightship shows you what needs to be done and helps you record the work you complete. When you get back, all data is synchronized seamlessly. Let us show you how Lightship can save you time, simplify your worksite data, and make your site safer and more efficient.